We have been working diligently preparing Frogs. Most repairs and upgrades are now complete. A lot of stuff has been removed, and replaced by only those items on the list of what we think we are going to need. Nothing more: we are turning minimalist. Mostly equipment, warm clothing and basic food staples. We are not taking our normal bushel baskets of cheap novels, just Kindles with a good reading list. Fewer tomes,although we still have the paper charts, nautical atlases and guidebooks required to cruise the Inside Passage. For the essential bigger stuff, a single and a double inflatable kayaks, the folding bikes (still being debated). Also to keep fit some colour coded elastics to pull in every direction our bodies will allow after sailing all day. No room for a yoga mat, tough! Good thing we used to spend our summers canoeing in Ontario, now any extra set of dry clothes, and a roof guaranteed to keep you dry when you sleep makes it all feel like a five star deal. All the food has to be repackaged to eliminate glass containers and extra cardboard boxes. That’s a huge amount of space to gain. Part of the fun will be to buy food locally as we go and try out restaurants along the way. All we ask for is pub grub, good fries, and live music, normal summer fare at Pender Harbour for example. 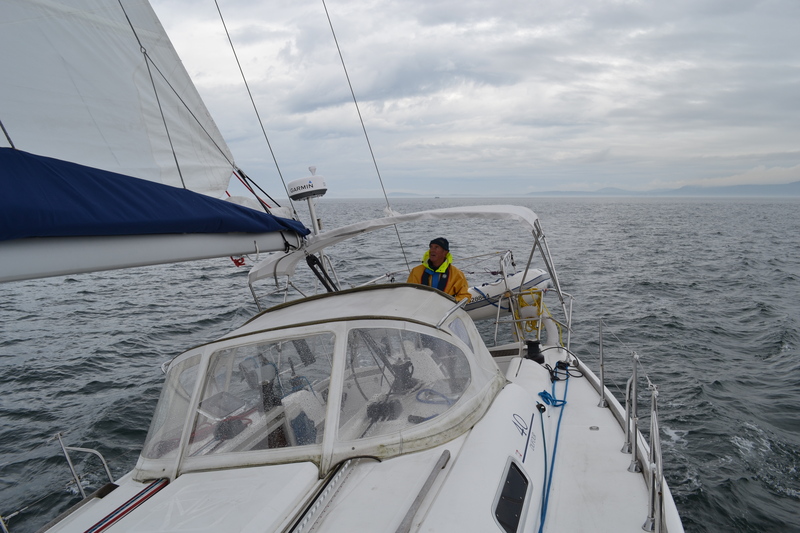 So, we took a short shake down cruise to San Juan Island, Washington State, and that went well; under engine for 24 NM. 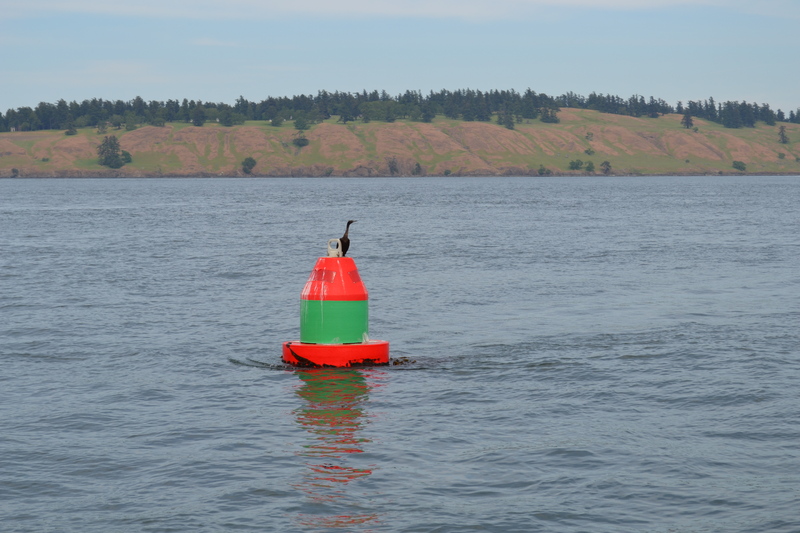 No wind to Friday Harbor on Friday! 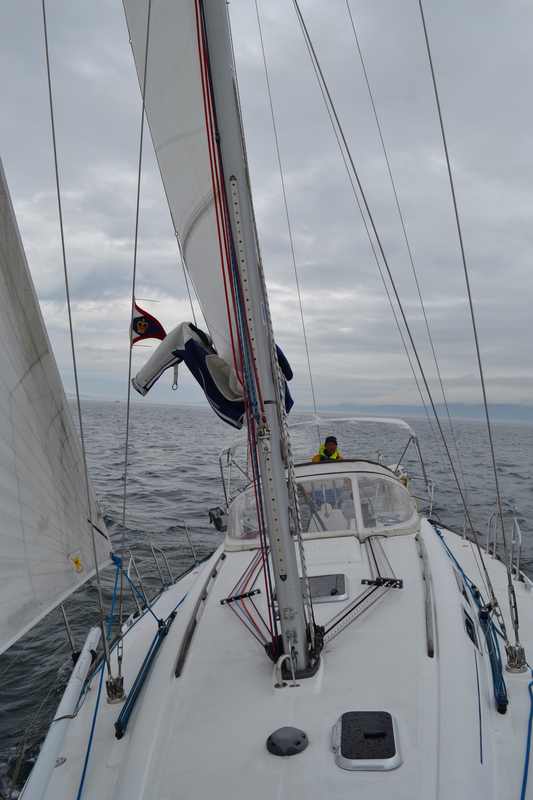 We used the new Garmin radar most of the way across Haro Strait, through an imposing fog bank straddling the main shipping channel. Good addition that radar, provided safety despite almost complete lack of visibility . There are still some problems: the new joker valve is in but the head (sort of the latin name for the WC on a boat) is still acting up (instead of down…) Good thing we had the trial run. We also decided that the 4 HP Yamaha engine on the dinghy was too heavy and will replace it with a Suzuki 2.5, half the weight and virtually same power, though we give up reverse gear. (Time to go forward and not look back, I suppose). We also acquired a fast boiling whistling kettle to spare the propane and insulated non-skid Starbucks mugs and I reclaimed my mini-pressure cooker out on semi-permanent loan. That’s in addition to the Dufour “China” set (French melamine) that came with the boat, half of it actually, just enough for four. The galley is a Go! Saturday, we left Friday Harbor early afternoon, and took our time motoring to Roche Harbor, setting the anchor to test the new chain and gypsy (on the windlass, exceedingly powerful electric motor that brings up the anchor back up, so we don’t have to sing Heave O for an hour every time we set out, like the pressed sailors of the Royal Navy). The boat was snug and dry as a huge rainstorm passed through in the wee hours. 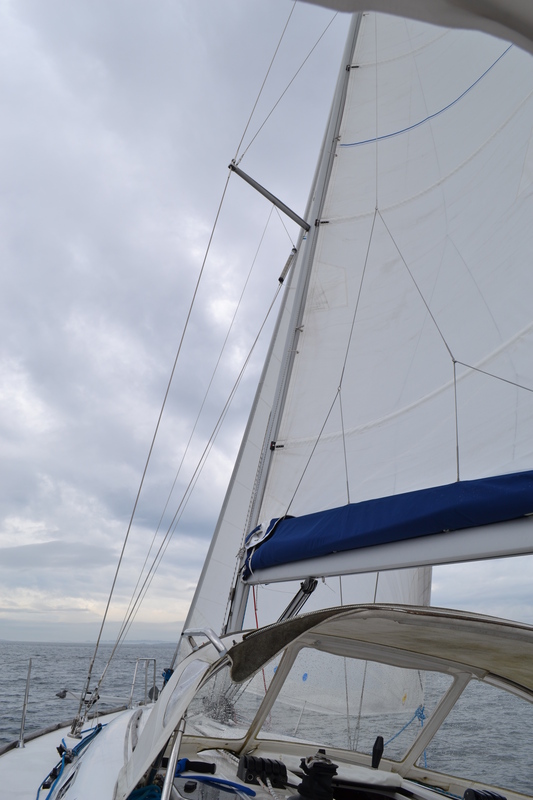 Early, Sunday we sailed back to Victoria in winds up to 15 (knots) with about 4 knots of ebbing current, a perfect combination that gave us speed up to 10 knots and a super quick passage across Haro Strait. It rained on and off and we delighted in the new bimini (sort of permanent umbrella set aft in the boat above the wheel). Dunnery’s new Guy Cotten rain jacket from Brittany also passed the test with flying colours or at least yellow and blue. 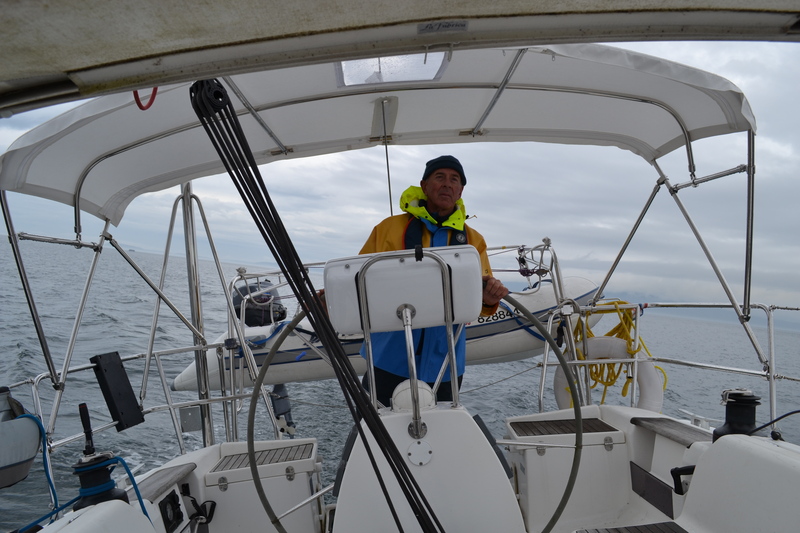 This entry was posted in The Log and tagged Friday Harbor, Inside passage, sailing, sport. Bookmark the permalink.